Earlier we have seen how to solve this problem using Kadane’s Algorithm. 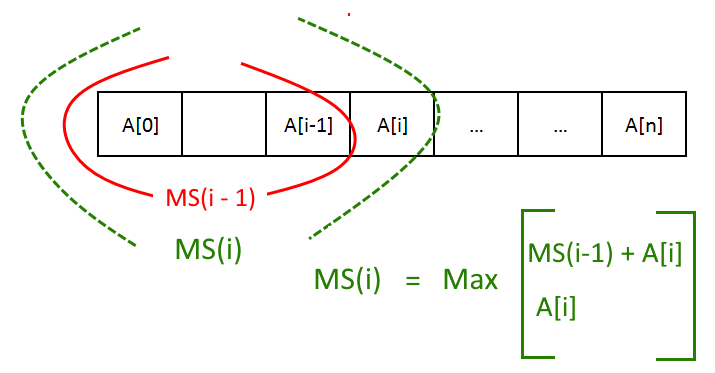 In this post we will how to solve it using Dynamic programming. We will solve this problem in bottom-up manner. OR start a new sum from the index “i“.